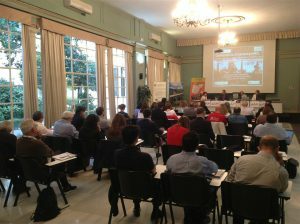 On Friday, September 30 a conference organized by the FFE and the European Greenways Association was held. 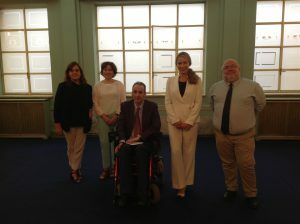 Its purpose was to present the new “Greenways4ALL” project and share experiences regarding accessible tourism, enhancing greenway accessibility, and the dissemination of these itineraries as resources for everyone. 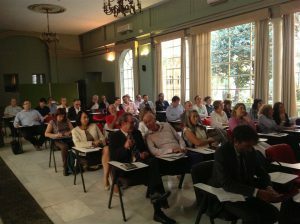 The conference was a great success in terms of turnout, with over 50 attendees, among which were the partners of this European project, political and technical government representatives, greenway managers, accessibility experts, entrepreneurs, tourism sector workers, and third sector workers. The conference featured a great many top level speakers, among which were representatives from the Ministry of Industry, Energy and Tourism, Segittur, PREDIF, ONCE Foundation, EGWA, FFE, Fundación También, and CEOMA. 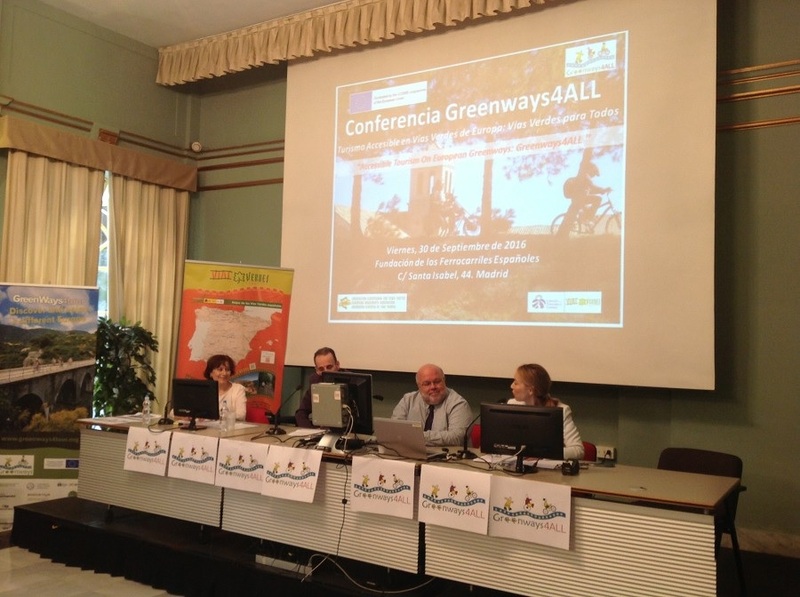 Other keynote speakers were the managers of the Greenway de la Sierra in Spain and the Ecopista do Dao in Portugal. The panel speaking on behalf of greenway users and the companies specializing in accessible and experiential tourism also aroused a great deal of interest. One of the main conclusions drawn from the conference was that accessibility and design for everyone is a fundamental factor not only for the inclusion of everyone in the enjoyment of public spaces, infrastructures, a nd tourism resources, but it also provides an opportunity to capture important niche markets such as families with young children, seniors, and people with disabilities. It is also a necessary added value for positioning resources and destinations as smart and sustainable tourism products. Thus European greenways, disused railway lines recovered as non-motorized routes for active, open air leisure pursuits, can meet accessibility parameters that will position them as the tourism resource which best provides access to nature and open air sport activities. However, as was pointed out in the various presentations, it is necessary to enhance and invest in not only the accessibility of these greenways, but also the region through which they run, in order to move towards a product which extends across the entire accessibility value chain: from the accessible trail to the accessible trip, experience or product.